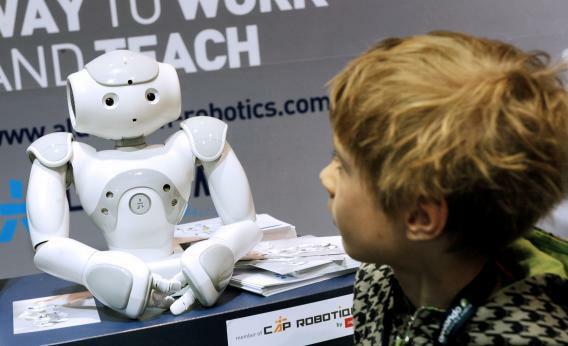 Education technology: Latitude Research survey on children and robots at play and school. Latitude Research, joined by the Lego Learning Institute and Project Synthesis, interviewed 348 children in Australia, France, Germany, South Africa, the United Kingdom, and the United States about robots—in particular, how kids would see robots in the classroom and at home. The children imagined what it would be like to have a robot in their lives and drew pictures of their made-up automatons. The results of “Study: Robots Inspire New Learning & Creative Possibilities for Kids” are fascinating as well as hilarious. Read more on Latitude; via IEEE Spectrum.